Instant Pot Clone. 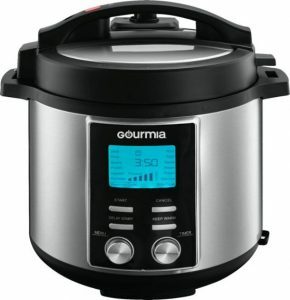 Best Buy has a Gourmia - 6-Quart Pressure Cooker Sale, $39.99 Free Shipping. Expires Soon - Highly rated at 4.6 out of 5 stars. 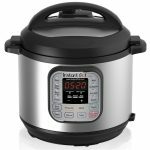 The Gourmia Smartpot 8-in-1 Programmable Pressure Cooker functions as a bbq/grill, steamer sautee/browner, classic slow cooker, rice/hot cereal cooker, yogurt maker & warmer thanks to fully programmable computerized heating technology, and removes the guess work from pressure cooking to provide perfect cooking results.